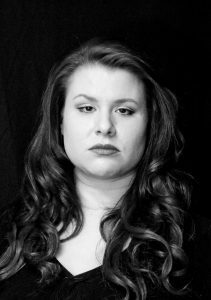 Angela Walberg is a singer-actress and theatre producer in the Twin Cities area. She joins Really Spicy Opera for its 2017 touring production of Game of Thrones: The Musical in Hawaii, playing Cersei Lannister and a variety of other roles. Walberg is a graduate of the University of Minnesota–Twin Cities, where she studied vocal performance. She has appeared with the Ordway Center for the Performing Arts, Skylark Opera Theatre, Artistry, Shadow House Theatre, Second Fiddle Productions, Open Window Theatre, Shadow Horse Theatre, Candid Theatre Company, Minneapolis Musical Theatre, Starting Gate Theatre, Theatre Unbound, Theatre in the Round, Lakeshore Players, Paul Bunyan Playhouse, Bravo Theatre, and The Mechanical Division.